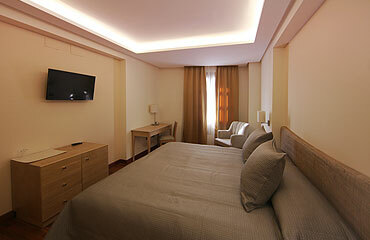 Hotel Casa Consistorial located in the historic center of Fuengirola. It was built here the first Town Hall of the city, which opened its doors on February 15, 1868. In 2013 it was decided to reconstruct the building and open on its territory a modern four-star hotel luxury. During the construction of the hotel was completely reconstructed historic building facade. Nowadays Hotel Casa Consistorial surrounds infrastructure: shopping and entertainment centers , playgrounds and, of course , the sea and clean beach - everything is in walking distance from the hotel. 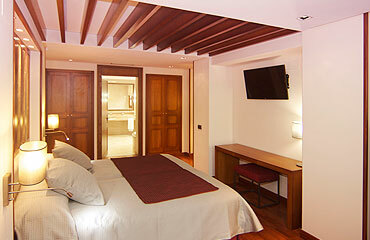 Hotel Casa Consistorial friendly opens its doors and invites you to enjoy to the full the best moments of your holiday! Elegant and comfortable «Traditional», made in light pastel shades allow you to enjoy every moment of your stay in our hotel. For people with disabilities have a specially equipped room. Filled with sun and sea of light, stylish and designed rooms «Delux» with one size bed King Size, a large bathroom and a French balcony. Great design, great location, additional options and exclusive details - all that distinguishes rooms «Premium», made with the care to every request of our guests. What a real vacation? Relax - it's a bit lazy hours spent by the pool under the hot Spanish sun, with misted glass in hand, filled with a refreshing cocktail in which friendly tapped ice cubes. 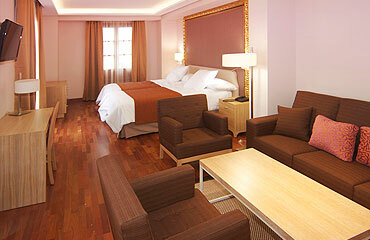 Relax - it's Hotel Casa Consistorial, where they know the price of this comfort! Our guests can choose from three unique dining experiences, all with exceptional service. Cafe & Restaurant Consistorio, city's popular dining spot offers traditional, classic Spanish dining experience. Private Patio bar is available through the year to the hotel guests. Private facilities are also available to host your event. Prefer to relax in the privacy of your room? Restaurant Consistorio offers an in room Dining menu. Relax - it’s a real Finnish sauna, in which you can get directly from the sunbed. Relax - it's relaxing massage in the capable hands of a professional, for which no need to drive or walk away. Sauna is offered as an extra, valuable option to all our guests. Enjoy complementary WI-Fi access available through the entire property. Book any preferred room to gain limited access, ultra high speed wi-fi network.